O h, the things l do for my dogs. 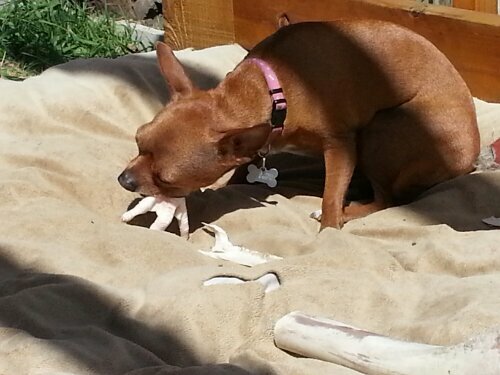 A few days ago l picked up a couple pounds of Chicken feet or as the package proclaimed, chicken paws, for the pups. l have read that they are a wonderful source of glucosamine so l thought I’d try them out. Upon further reading, of course after l had already bought them, I discovered that you need to trim off the claws or nails before feeding them to your dogs. 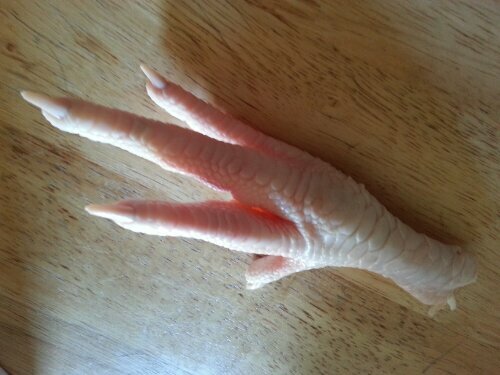 Until a few years back, l couldn’t even bring myself to touch raw meat much less Chicken feet. Needless to say the “paws” sat in my fridge for several days. I would pull them out a couple of times each day with the resolve to finally get the trimming done. Then I would “chicken out” and put it off for later. Finally this morning l did it! l had to call my best friend in the process so we could chat about boys and keep my mind off the task at hand. When the job was done I put a few in the dog’s bowls and the rest into freezer bags. Now here it is a little past noon and l still have not been able to eat anything today. Not only did the chicken feet contribute to my lack of appetite but l decided to give the dogs some full sardines that l purchased from Primal as well. These are not the canned kind that I often feed to the dogs and Nakia at least quite enjoys. They are full on frozen fish. Watching the dogs crunch into a whole fish did me in. Surprisingly enough though, I may have found something Nakia doesn’t like. 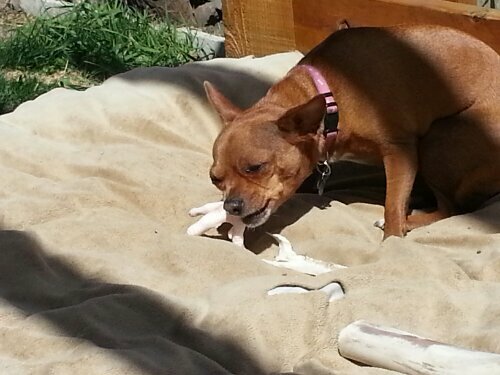 She crunched into the fish bodies opening the carcasses, then left them for Rose to roll in. 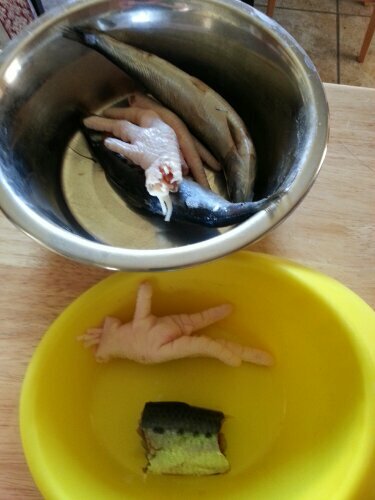 So, that is how my morning went, chicken paws, fish guts and bath time, all on an empty stomach. For centuries people have been using apple cider vinegar to improve their health as well as for the heath of their pets. Raw apple cider vinegar is packed with potassium. One tablespoon contains 11 mg. When it is combined with foods that have significant vitamins it helps the body assimilate them. It will also help the body absorb calcium and other minerals. Vinegar helps prevent the growth of bacteria and viruses in the digestive tract. My theory is that this helps reduce the chance that your dog will have any issues with harmful microbes that may be in the raw meat you are feeding them. Especially because it will not effect the body’s beneficial bacteria. You can add it to their food or water, or apply it topically to your dog’s skin. If using topically for the first time, test it on a small patch of skin to be sure your dog doesn’t have an allergic reaction. 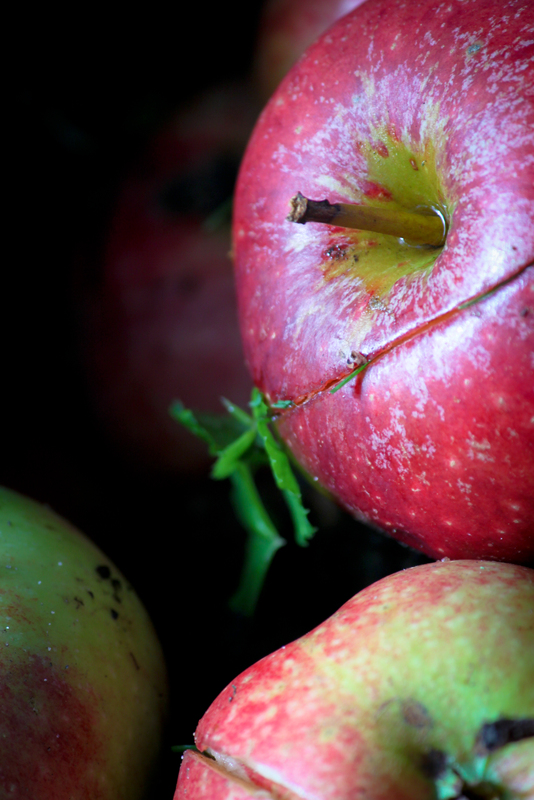 Adding a teaspoon of apple cider vinegar daily to fresh water can help with eyes, teeth and coats. 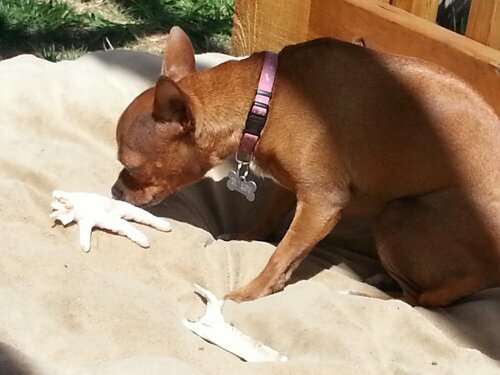 It is also a non-toxic cleaning product that is safe to use around your furry friends. You can use it to disinfect toys, deodorize bedding and to help remove pet stains. Vinegar in general has a low pH. While water is neutral with a pH of 7, most vinegars are in the 2 to 5 pH range. Apple cider vinegar is in the 4.25 to 5 pH range making it less acidic than most vinegars. ACV, white vinegar and balsamic vinegar are the most familiar vinegars and are available at your local supermarket. Organic apple cider vinegar is made by crushing organic apples into a cider which is then aged in wooden barrels. The finished product is dark and cloudy because it is raw and unfiltered. It is usually light brown or orange color. I also like to add it into some of my vegetable purees. My dogs seem to love the taste. Have you ever used apple cider vinegar for yourself or your dog? How do you use it?